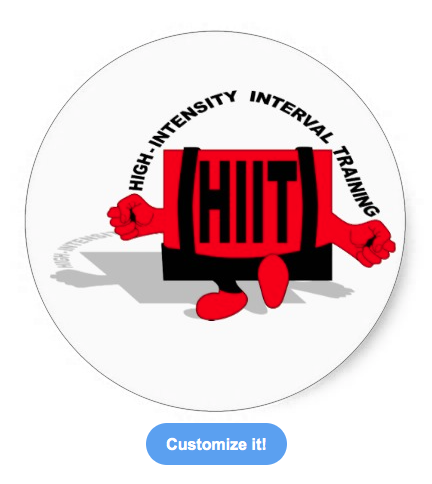 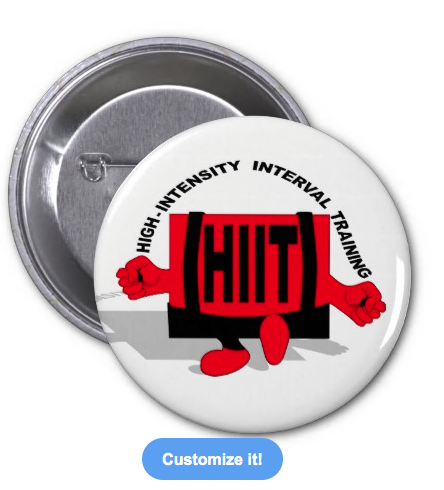 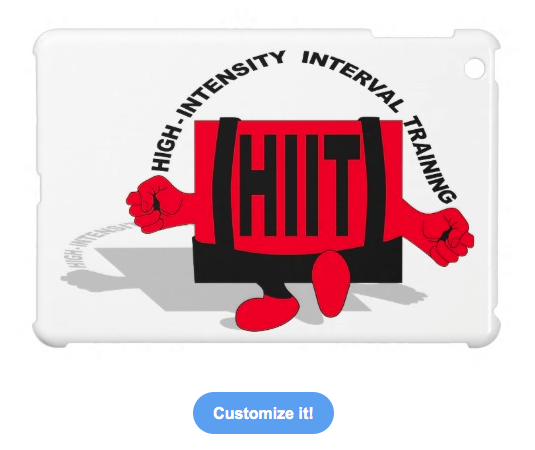 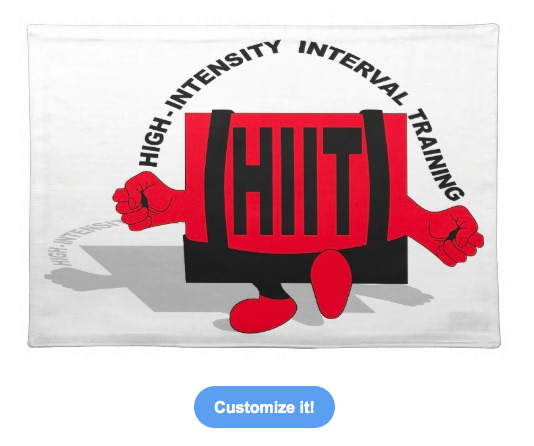 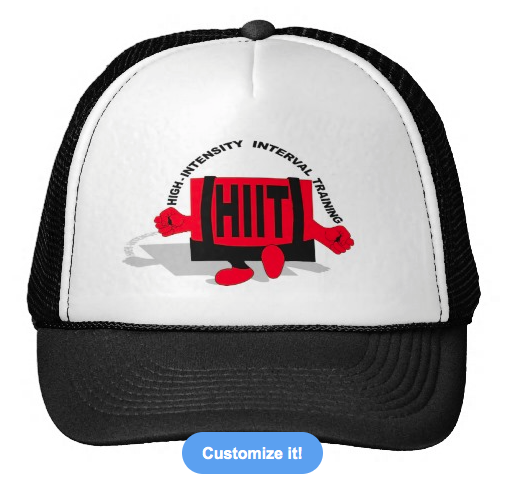 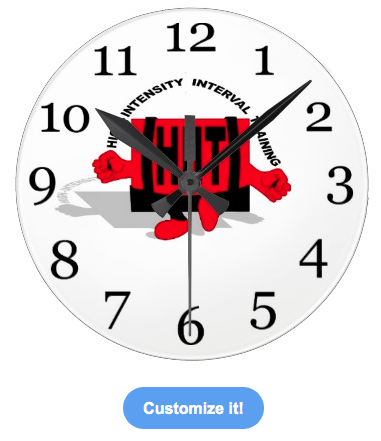 H.I.I.T Skipping High-intensity interval training. 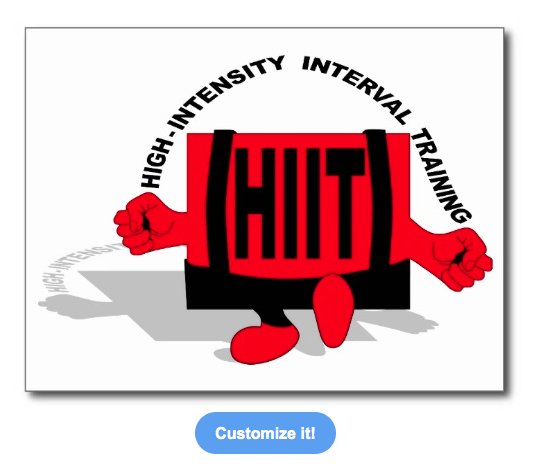 The text has been made into a skipping rope for a red square, faceless, man with toned arms. 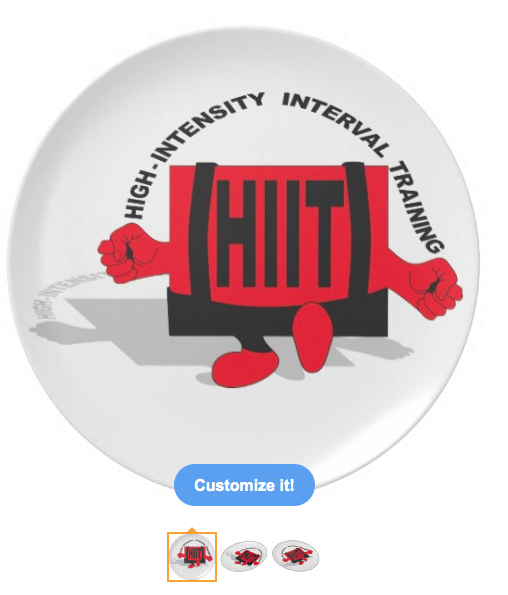 He is wearing black weight lifting pants with braces and it says HIIT (H.I.I.T.) 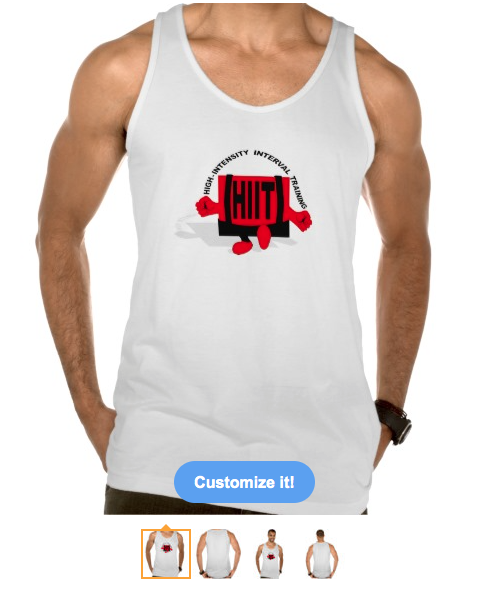 on his chest. 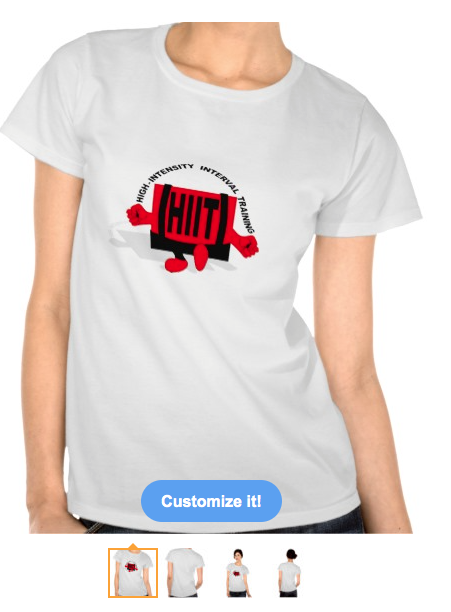 These designs are on a variety of products un my piedaydesigns store on zazzle, If you can't find what you are looking for feels free to contact me.